Most of the time, patients don’t like to see the dentist. However, if there’s one procedure they actually WANT to come see us for, hands-down, it is Six Month Braces. And if there’s one thing that we LOVE to do for our patients, it’s to make that dream come true. We had a patient in today, who started his braces on January 15th, 2014, so just barely over 3 months ago, and you can see how quickly he’s almost finished. We anticipate finishing him in just 6-8 more weeks, so he’ll actually be done FASTER than six months. It was fun showing him his “Before” photo today, and he’d already forgotten just how crooked those lower eye teeth were. 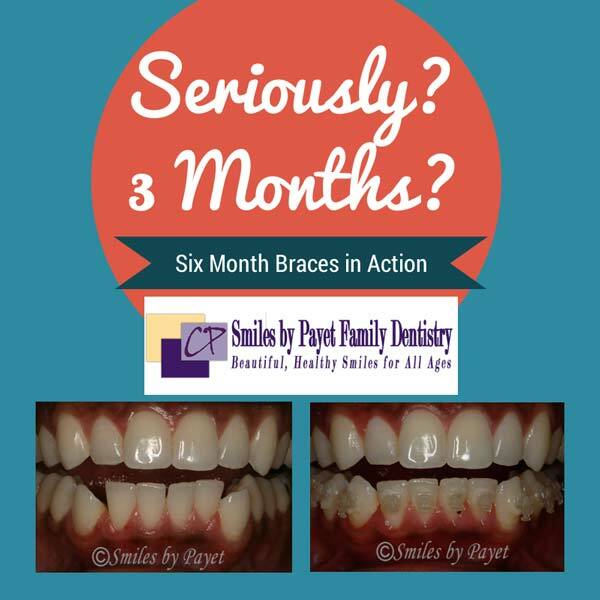 Are You a Good Candidate for Six Month Braces?